For offshore saltwater fishermen, tuna grab most of the attention along the Pacific Coast in autumn as the pelagic fish work their way up the coast following vast schools of Pacific anchovies and sardines. Tuna or salmon – either way, there’s a real tug-of-war involved. Check with state and local tourism offices for information about charter boat and guide services. 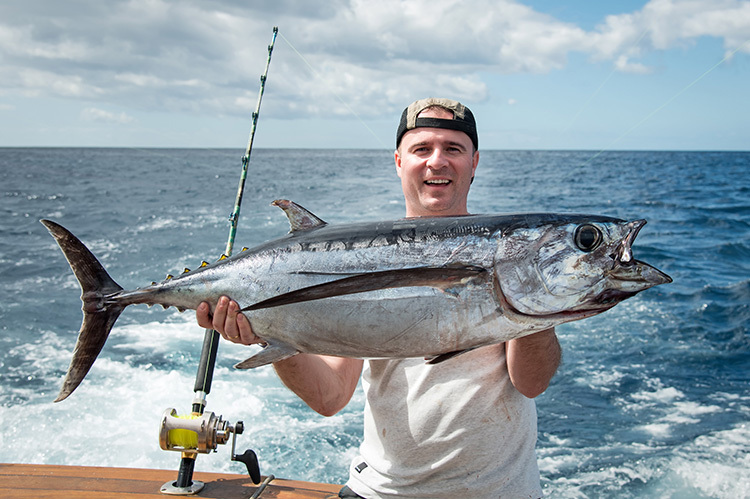 In July, a trio of tunas –yellowfin, albacore and bluefin – start showing up in numbers offshore in northern Mexico, and by October it’s an all-out fishfest for anglers aboard charter boats from California to Washington. Considering that most boats are likely to fish well offshore, tuna-fishing expeditions might stay out up to a week in the peak of season, though some trips can be shorter if the skipper thinks anglers can fill their limits in a day. With San Diego, CA the southern epicenter of tuna charters, and Westport, WA, on the northern end, visiting fishermen won’t have any trouble finding rides. Expect to pay $215-$275 for day trips to the inshore tuna grounds. Some charters go farther offshore and stay a few days. The cost then is about $275 multiplied by the number of days. Hot Spots To Fish: H&M Landing (619-222-1144, hmlanding.com) at San Diego is a recommended portal to adventure. Go north as the season progresses, and try a boat out of Westport Charters (360-268-0900, westportcharters.com) in Washington. Tackle You’ll Need: Any of the three types of tuna might weigh from 20 pounds to more than 300 pounds (for bluefins). 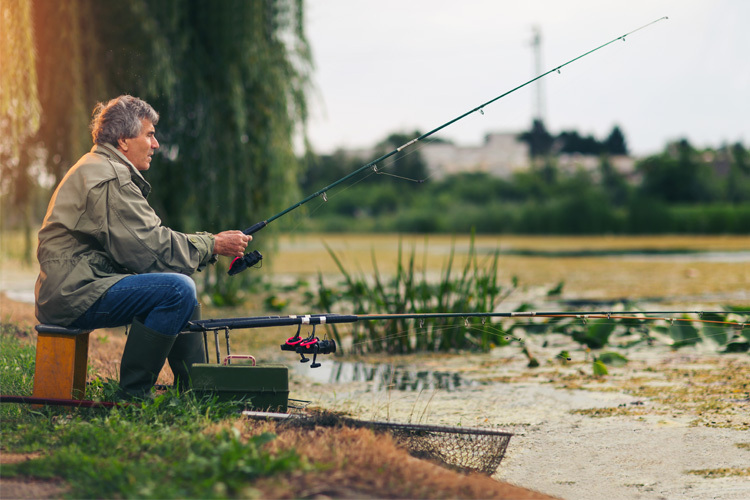 Thus, unless they plan to rent rigs for about $20 and up per day, anglers take along their own tackle and that might include two or three fishing outfits to cover any contingency. Everything from medium baitcasters or spinning outfits to heavier revolving-spool rigs, such as the Shimano TLD 20 and TLD 25 reels matched with Shimano TDR70MB 7-foot trolling rods (10- to 17-pound test) or TDR70MHB 7 foot medium-heavy (12- to 30-pound test line), match up well with most tunas likely to be encountered. Quick Tip: Make friends with the mates on the charter boat you’ve chosen. They’ll be more likely to help you when the big tuna on the end of your line is ready to come into the boat. Be sure to tip generously – say 15 to 20 percent of the charter fee. Best Lures/Baits: Depending on the flexibility of the skipper, anglers might be limited to using live bait such as anchovies or sardines, or jigging spoons such as the Shimano Flat Fall. However, sometimes anglers can troll big crankbaits such as the Rapala Magnum X-Rap 30, the Yo-Zuri 3D Magnum or the Mann’s Giganticus. Like the fall tuna run off the Pacific coast, the chinook (king) salmon run advances in stages, with October being the peak month and extending into November. For the widest window of opportunity, plan to fish the rivers and tributaries of Washington and Oregon that feed into the Columbia River. Hot Spots To Fish: Though much less known and much smaller than its more famous neighbors to the north, Oregon’s Chetco River produces hundreds of jumbo kings weighing more than 20 pounds throughout the fall. The Winchuck, closer to California, is another small fishery with big salmon. Call Ironhead Guide Service (530-598-0530, ironheadguideservice.com), to set up a trip to either. 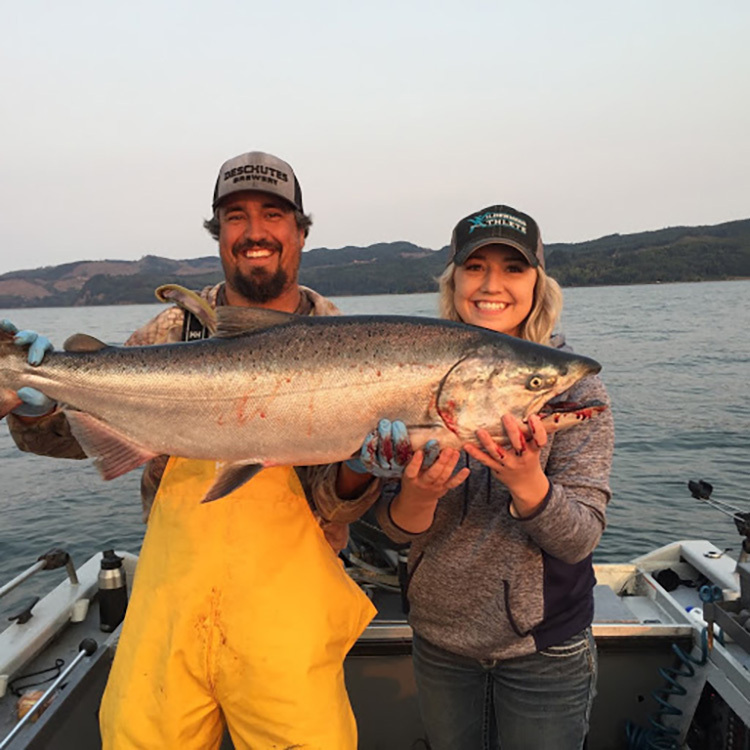 Tillamook Bay and its feeders are prime hangouts for chinooks, and Marvin’s Guide Service (503-314-5087) can put you on them. 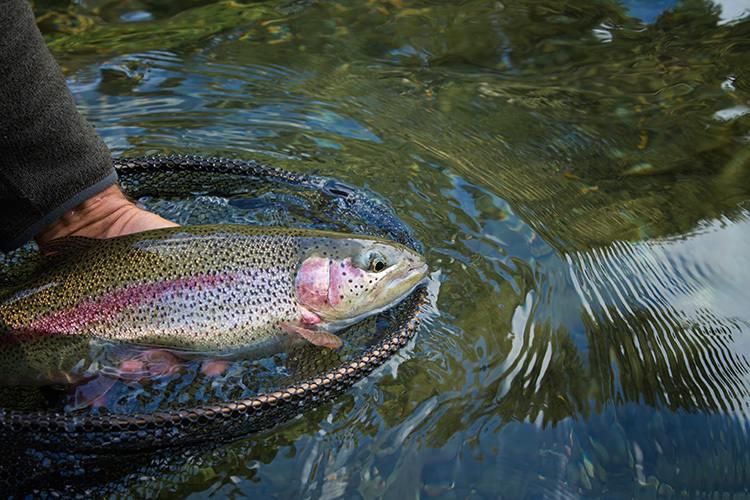 For numbers, it’s hard to beat the Winchester Bay, Rogue River, Umpqua and Coos systems. 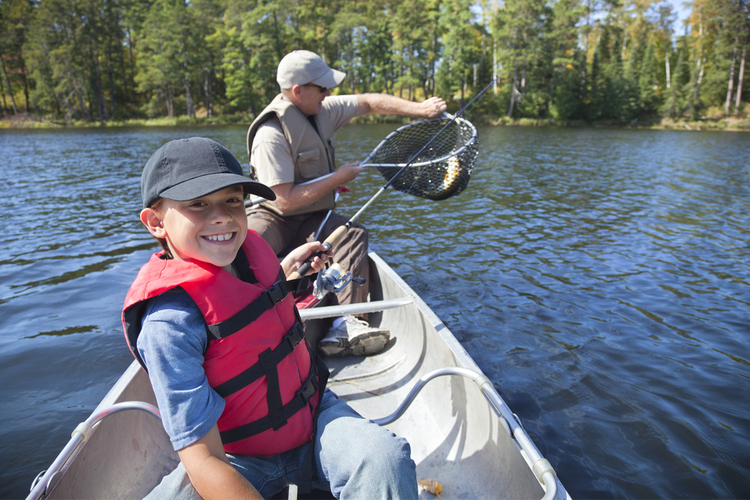 Salmon Harbor Tackle & Marine (541-271-2010) is well-stocked with tackle and salmon fishing advice. Up the Columbia River Gorge, the folks at Jones Sport Fishing (208-861-0654, jonessportfishing.com) have the latest scoop on salmon. Most of the West Coast’s rivers and bays are swarming with autumn-run salmon. Whether an angler is fishing on a charter boat or with a guide, the action can be fast and furious. Tackle You’ll Need: Fall chinook might weigh more than 50 pounds, so meat fishermen who go after salmon typically use heavy spinning or baitcasting gear. Consider the Ambassadeur S Combo with a Model 6500 baitcaster and matching 7-foot medium-heavy rod. For spinning fans that do a lot of casting, the Shakespeare Ugly Stick 9-foot rod with matching reel is a good choice. 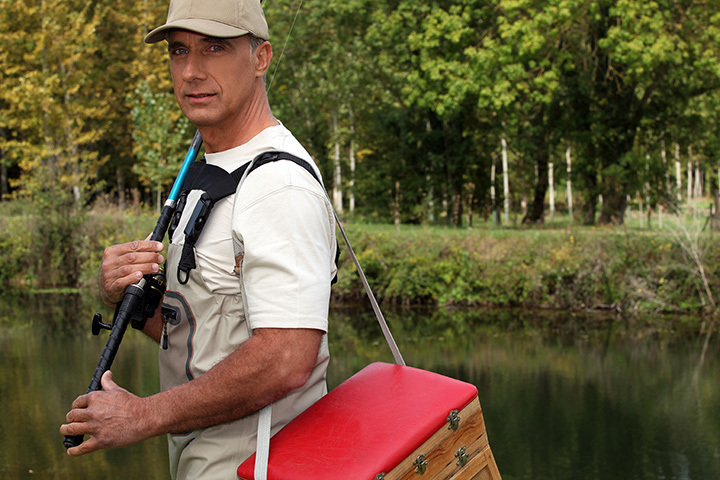 For the sportier types who like challenges, 10- or 12-weight fly fishing tackle is popular. Just make sure the reel is spooled with lots of backing. Quick Tip: The big waters such as Tillamook Bay and the Columbia River basin yield tons of salmon to hundreds of fishermen in prime time, but don’t overlook the other rivers along the northern Pacific Coast. Get a map and locate some streams that range far inland, then find out what you can about the fishery via the internet or calls to local tourism and Game and Fish offices. You might be happily surprised with what turns up. Best Lures/Baits: Chinooks will eat a variety of cut bait gleaned from the local larder, or go after any lure that is large, wobbling and shiny. Various trolling spoons from Luhr-Jensen such as the Coyote Spoon or the Moonshine Trolling spoon, as well as the Luhr-Jensen Crippled Herring jigging spoon, work well. The original Buzz Bomb or Zelda jig are good choices when salmon are ganged up on herring schools.